And Amk might not even have company in this one because it’s 99ts’ birthday. Amk? Chat away (with yerself). If he’d any sense he’d have replied: ‘Go away, it’s holiday time, I’m chillin’, shoo’, but he didn’t, he said he’d love to. See? That’s why he’s Exceptional Excellent Eric. 1. Obama unknowingly poses for his greatest portrait while giving his speech for the 50th Anniversary of Dr. Martin Luther King, Jr.’s March On Washington. 2. 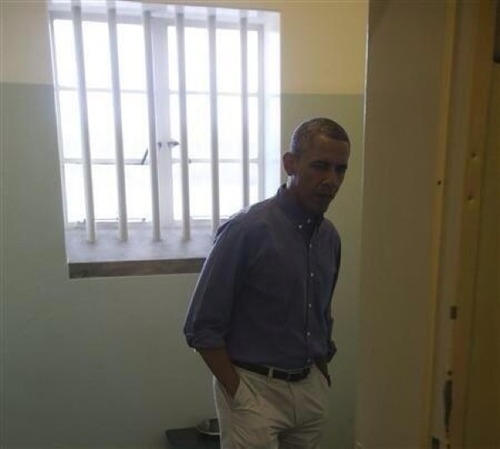 Obama visits the cell where Nelson Mandela was imprisoned for 18 years, just months before his hero’s passing. 3. 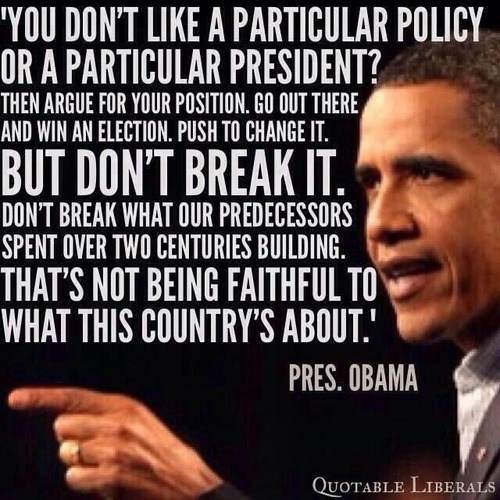 Obama’s quote of the year, even if nobody realized it at the time. 5. 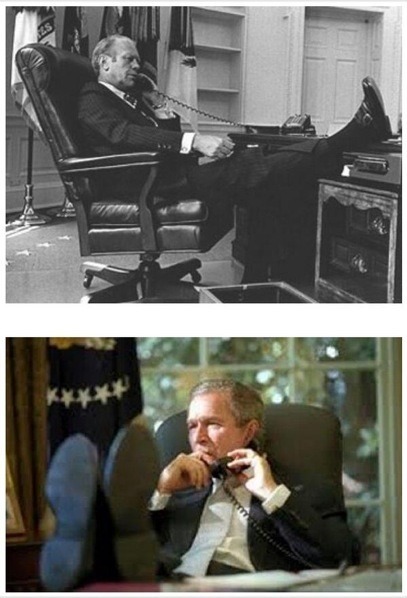 …and put his feet up on the desk. 6. 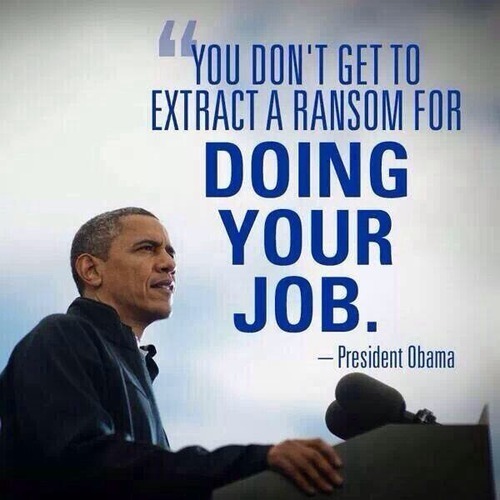 Obama shuts down the GOP shutdowners. 7. 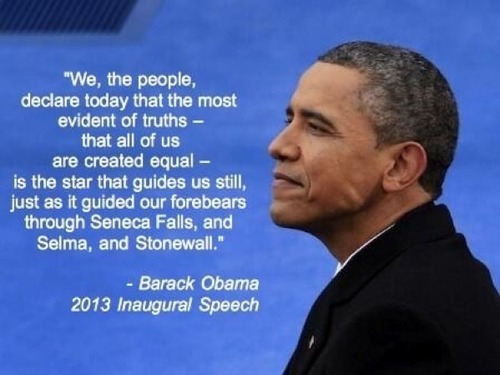 Obama’s Second Inaugural Address in three words or less: Selma, Seneca, Stonewall. 8. 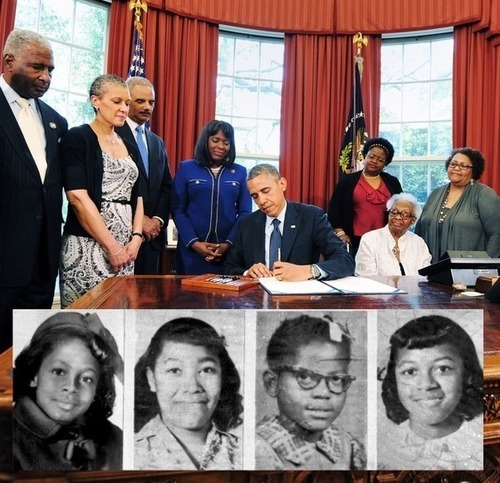 Obama awards the Congressional Gold Medal to the victims of the 1963 Birmingham Church bombing. 9. 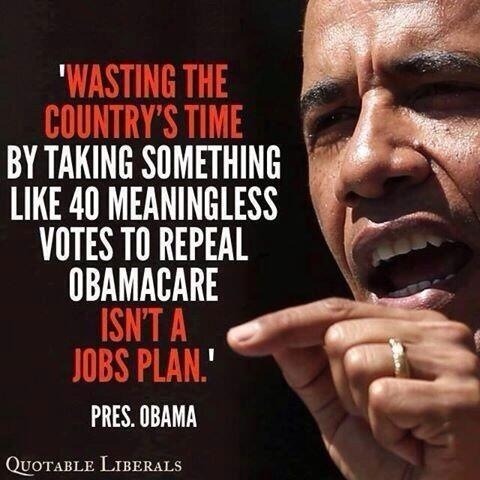 Obama explains what constitutes a jobs plan. 10. 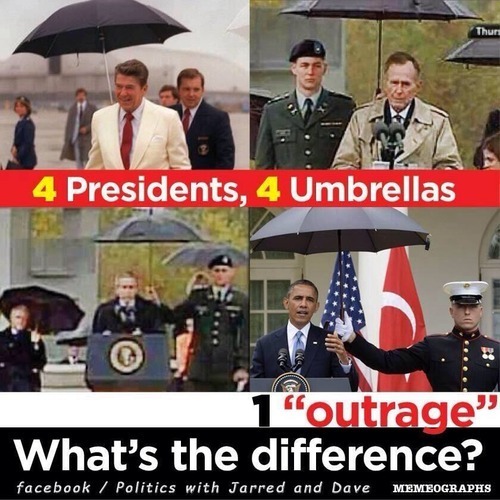 Obama becomes the worst socialist EVER. 84% of Whites are murdered by other Whites. So while you're giving that non white the stink eye you'll probably not see it coming.